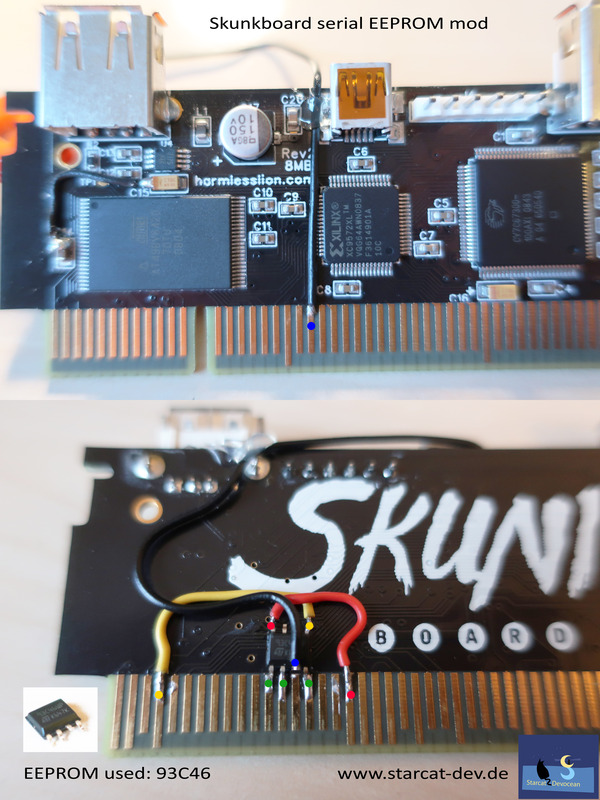 For a recent project I needed a serial eeprom on my Skunkboard (for saves). Here are some pictures of what I did if you want to try it yourself. You should be skilled at soldering and do this at your own risk. It’s a very basic mod and only the first 128 byte slot of this eeprom is used like a single game would. But it works fine if that’s all you need.